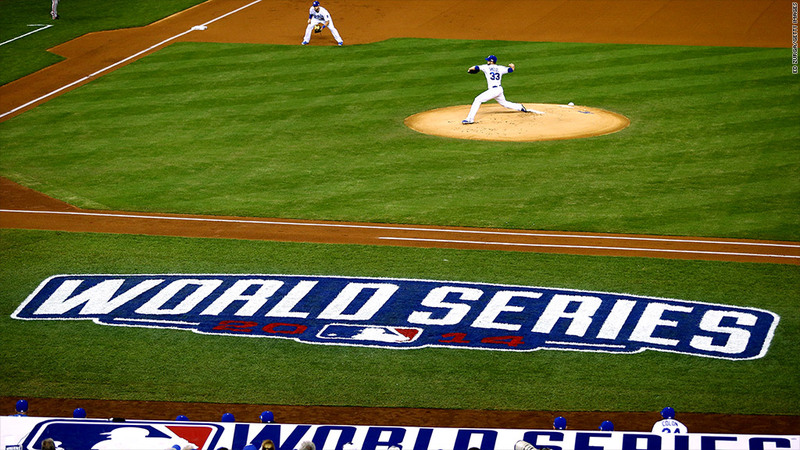 The ratings for Game 1 of the World Series weren't a home run. Tuesday night's opening game of the Major League Baseball World Series brought in 12.1 million viewers for Fox, making it the lowest rated game 1 and the fifth lowest rated World Series game of all time. The game, which saw the San Francisco Giants stomp the Kansas City Royals 7-1, rated a 3.4 among viewers aged 18 to 49, down 15% from last year's Series, a match-up of the Boston Red Sox and St. Louis Cardinals. Alternatively, this year's Series includes the small market Royals. They haven't been in the World Series since "Back to the Future" was in theaters. Kansas City tuned in. Game 1 scored a huge 48.2 overnight in Kansas City. In San Francisco, however, it rated a 29.3 overnight. These ratings weren't a home run for Fox, but they didn't go down swinging either. The 12.1 million viewers meant Fox still beat most other programming on Tuesday, and the network actually won the night in 18-49 demo. The network has been struggling so far this season with some of its highly marketed shows like "Red Band Society" and "Utopia" failing to find an audience, so it's safe to say Fox hopes the numbers grow over the potential seven game series. The World Series opener ranked behind last June's NBA Finals Game 1, which brought in 14.9 million viewers, and last week's Thursday night regular season NBA game, which brought in 16.1 million viewers alone.